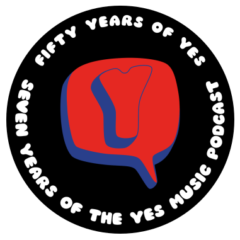 The ninety-third episode of the Yes Music Podcast, featuring an examination of what Jon Davison might bring to the writing and performing of the next Yes album, based on what he added to the Glass Hammer album, ‘If’. Does Jon Davison has a recognisable writing style? What was his contribution to ‘If’ by Glass Hammer? Do Glass Hammer and Jon Davison simply copy old-style progressive rock from the masters?